Home News Corporators Shimla tour was illegal? Corporators Shimla tour was illegal? The corporators of the Belagavi city Corporation had been to Shimla on a study tour from 25 to 30 September and now they have submitted a bill of the expenses made by Pace travels to the tune of 14.40 lakhs. The Sakal reports, the trip was not approved by the state government and now will this bill of 14 lakhs get approved. Last year a group of Corporators had visited Chandigarh, but that trip was done after the same was sanctioned by the state govt, but this Shimla trip had no approval. Also, the paper reports that a sum of 10 lakhs was paid to pace tours and travels as advance and no tenders were floated by the commissioner for the same. 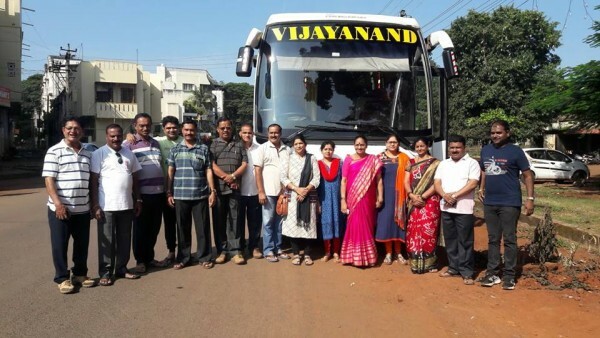 No employee of the tour company accompanied the Corporators and all the money was given to one corporator who made all the payments. The Shimla tour was approved by the council here but the amount which had to be spent was not approved, hence now it will be interesting to see how this bill of over 14 lakhs is passed.